This book is an indispensable 'cutting edge' book for students and researchers of journalism studies seeking a text that illustrates and applies a range of linguistic and discourse-analytic approaches to the analysis of journalism. While the form, function and politics of the language of journalism have attracted scholars from a wide range of academic disciplines, too often this analysis has reduced the work of journalists to text-characteristics alone. 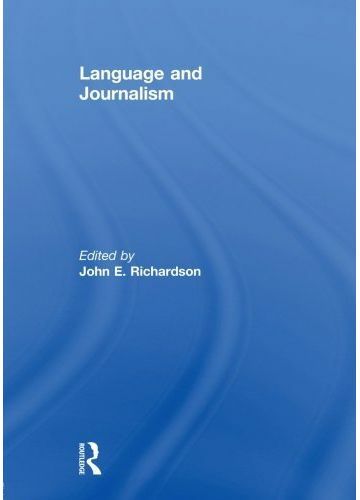 In contrast, this collection is united by the principle that journalistic discourse is always socially situated and the result of a series of processes - produced by journalists in accordance with particular production techniques and in specific institutional settings - and as such, analysis requires more than the methods offered by linguists.